A headache is pain anywhere in the region of the head or upper neck. According to the National Headache Foundation, more than 15% of people suffer from chronic, recurring headache. A headache is pain anywhere in the region of the head or upper neck. According to the National Headache Foundation, more than 15% of people suffer from chronic, recurring headache. Approximately 90% of people will suffer from at least one headache in their lifetime (See reference 1). About 20% of children and adolescents also have significant headaches. In fact, headaches are the most common cause of absenteeism from work and school. There are a number of different classification systems for headaches; the best recognized is that of the International Headache Society. The most common types of headache are “primary headaches”, such as tension-type headache and migraine. Most headaches are NOT caused by any serious underlying problem. The brain tissue itself is not sensitive to pain because it lacks pain receptors. Rather, the pain is caused by irritation of the pain-sensitive structures around the brain. Tissues around the brain that have pain-sensitive structures and can be responsible for headaches are the cranium (the skull bone), muscles, nerves, arteries and veins, connective tissues, eyes, ears, sinuses and mucous membranes. The best treatment approach for headaches is dependent upon the type of headache a person is suffering from. The International Headache Society has differentiated over 100 different types of headaches, so correct diagnosis can sometimes be difficult. Most headaches are tension-type or migraine headaches, or are secondary to muscle or joint irritation in the neck (cervicogenic-type headaches). Fortunately for headache sufferers, these types of headaches are usually not dangerous and can often be treated. A 2011 review found that manipulation, exercise, massage and relaxation might be as effective as some commonly used medications for the prevention of migraine headaches (See reference 2). For headaches that are caused by joint or muscle irritation in the neck (cervicogenic headache), manual therapies can be an effective treatment (See reference 3). What about medications or surgery? Medication – Medications, such as analgesics, are often first-line approaches to dealing with an acute headache. For many headache sufferers who only experience periodic headaches, medications are often enough. However, for those who are experiencing frequent, recurrent headaches and are hesitant to take the quantity of medication required to control those headaches (due to the risk of side-effects) manual therapy, massage and acupuncture can offer an effective alternative. 1. Rasmussen BK, Jensen R, Schroll M, Olesen J. 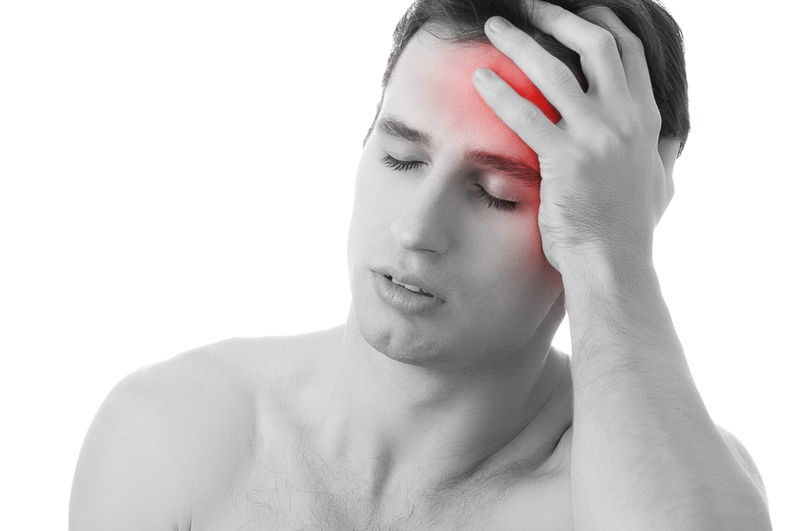 Epidemiology of headache in a general population–a prevalence study. J Clin Epidemiol. 1991;44(11):1147-57. 2. Chaibi A, Tuchin PJ, Russell MB. Manual therapies for migraine: a systematic review. J Headache Pain. 2011 Apr;12(2):127-33. 3. Chaibi A, Russell MB. Manual therapies for cervicogenic headache: a systematic review. J Headache Pain. 2012 Mar 30. 4. Linde K, Allais G, Brinkhaus B, Manheimer E, Vickers A, White AR. Acupuncture for tension-type headache. Cochrane Database Syst Rev. 2009 Jan 21;(1):CD007587.